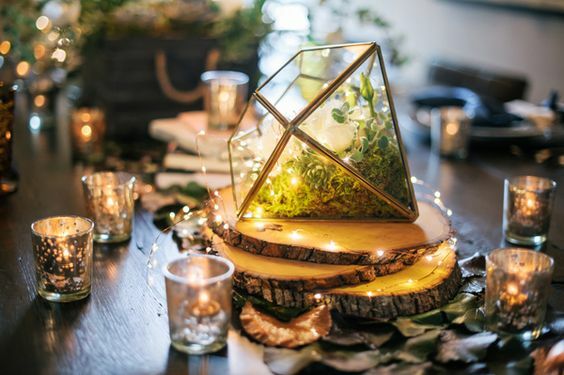 Before the food and drinks hit the table, your guests will most likely be admiring the centerpieces on their table—and you of course! 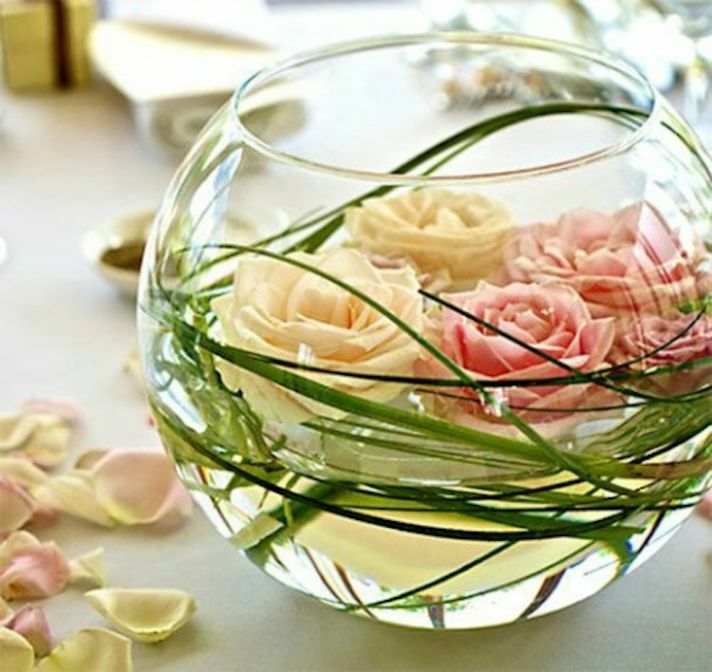 Table centerpieces usually range from $20 for a low-priced embellishment to an astounding $250 on the higher end. While these decorations are a focal point, they don’t have to be expensive to look good. 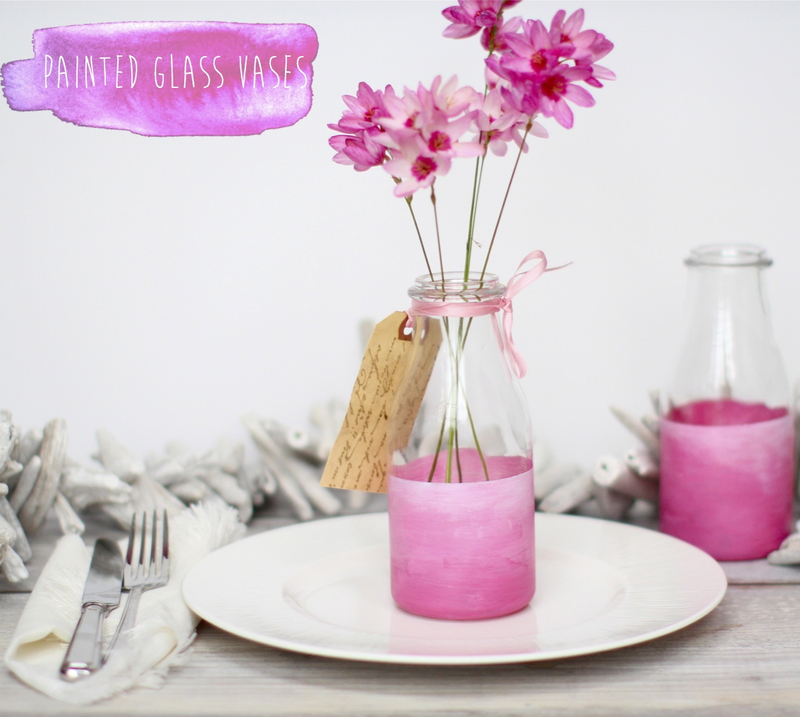 We’ve found gorgeous DIY centerpieces that you can make at home for a fraction of the cost. You and your guests can take these darling creations home to admire and possibly use again. Disclaimer: These DIY crafts don’t require any strong artistic skills. If you have some jars, paint, and even a touch of glitter, you will be ready. These painted glass bottles are a simple combination of paint samples and Ensidig vases from IKEA. You can use any bottle, jar, or glass that fits your style along with the colors of your wedding. IKEA has a perfect selection of inexpensive vessels to choose explore. 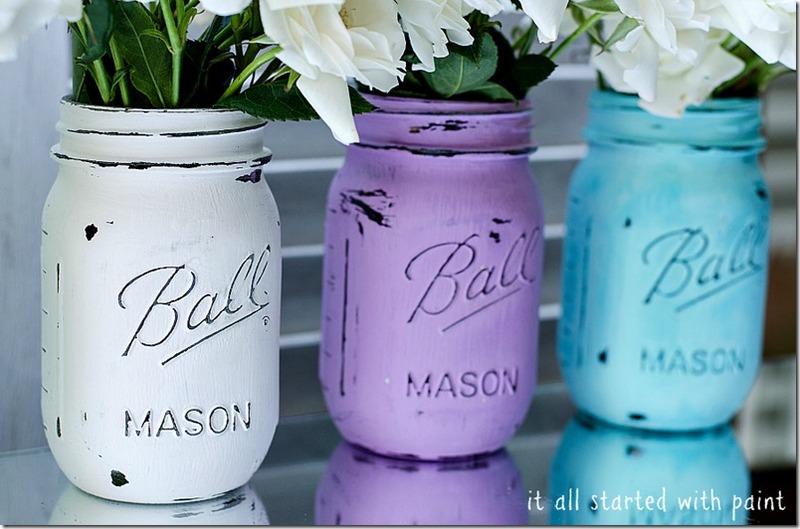 If you want a more rustic touch, then try using mason jars and distress the acrylic paint with sandpaper. A coat of matte paint will finish the look off and leave you with colorful centerpieces that you can use again on your kitchen table. 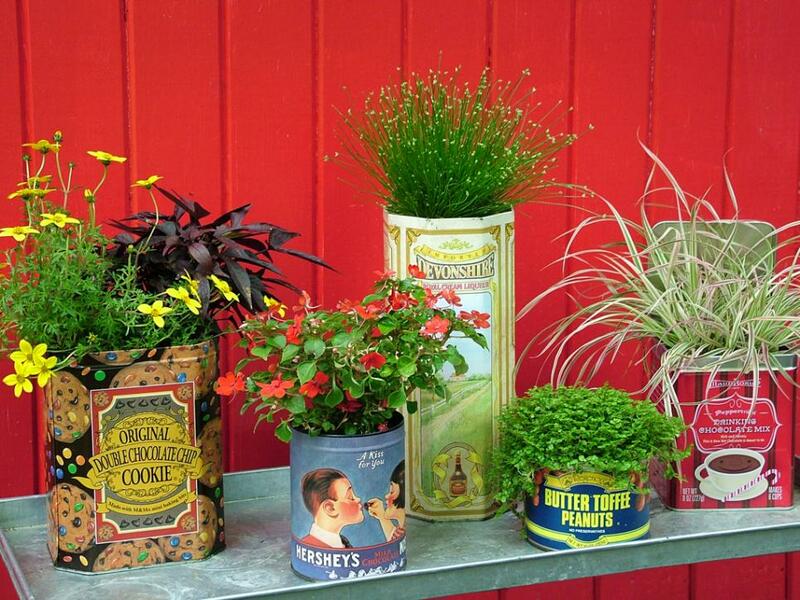 If you’re looking to break out of the standard containers, then get creative! 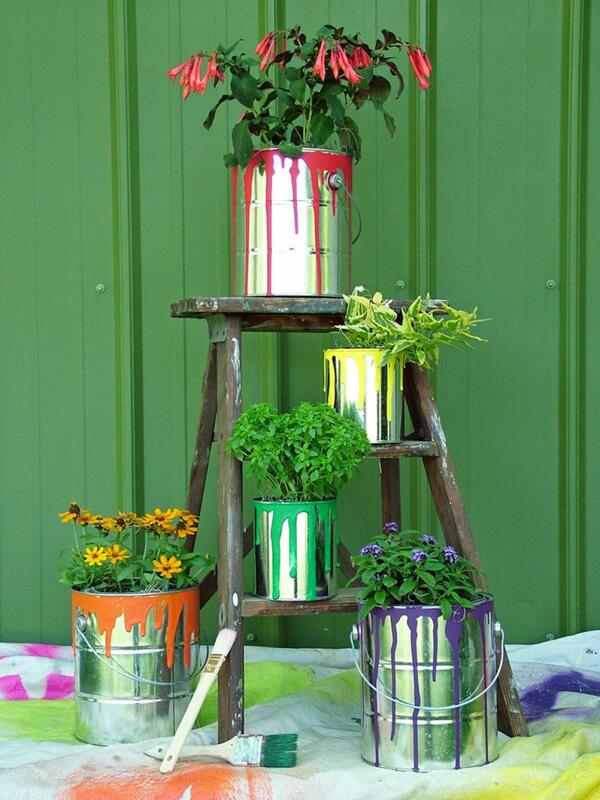 Use paint buckets, watering cans, or even teapots to hold your flowers. 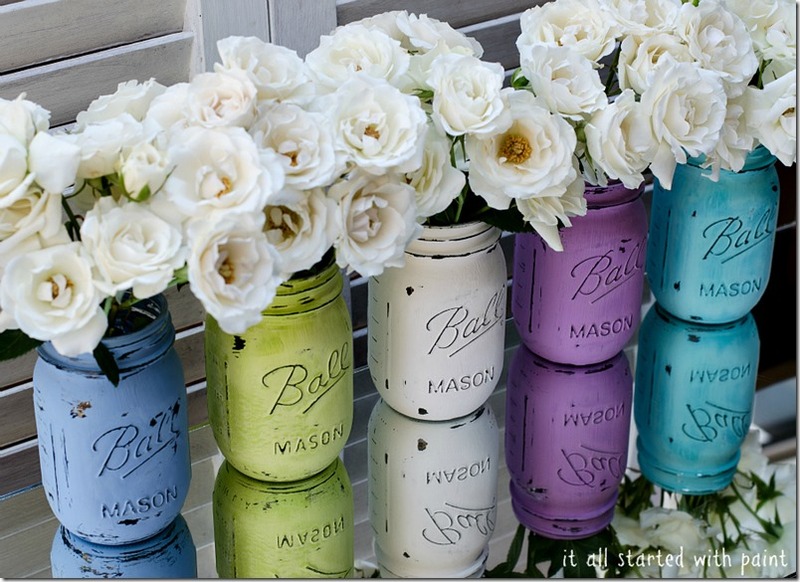 These sweet tins make for a unique vase while adding a vintage touch. Save your old wine bottles and add some lace or glitter for some extra sparkle. 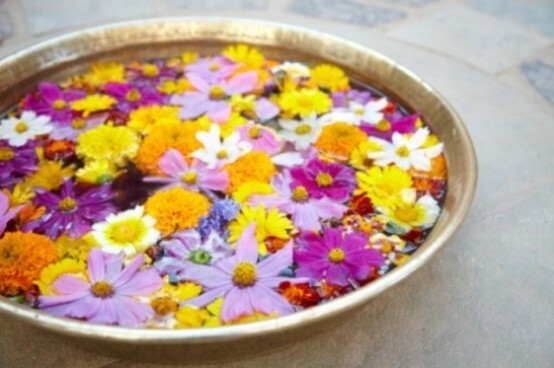 Fill open containers such as bowls with water and add in candles or flowers to float around.You can even use petals instead of the whole flowers. 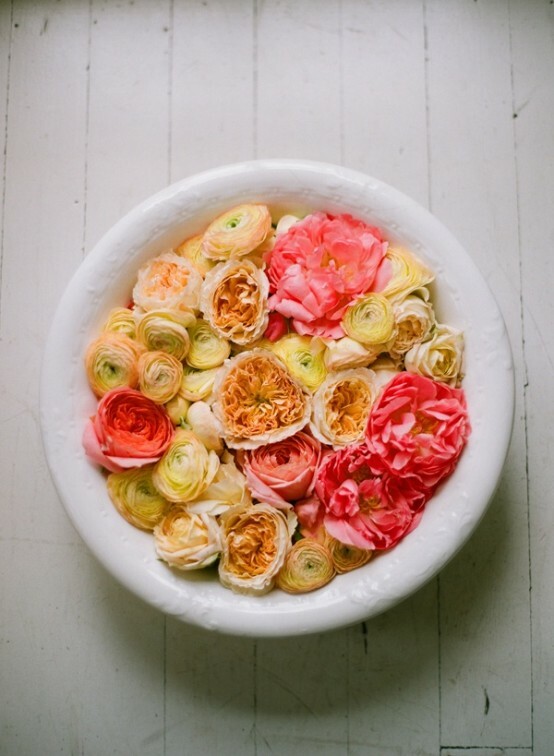 Check out DigsDigs for a list of floating flower arrangements you can incorporate for your wedding, including all of the photos above. 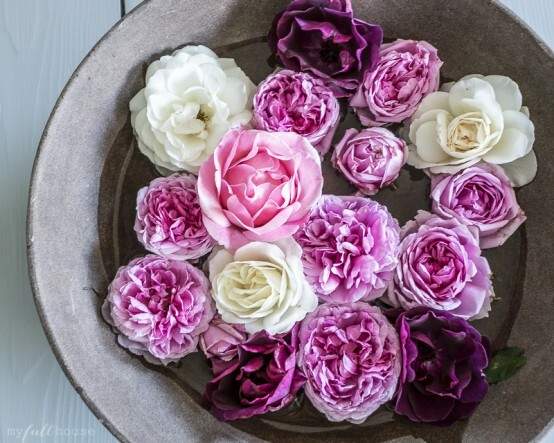 Using herbs, potted plants, or succulents are also inexpensive alternatives with a longer lifetime than cut flowers. 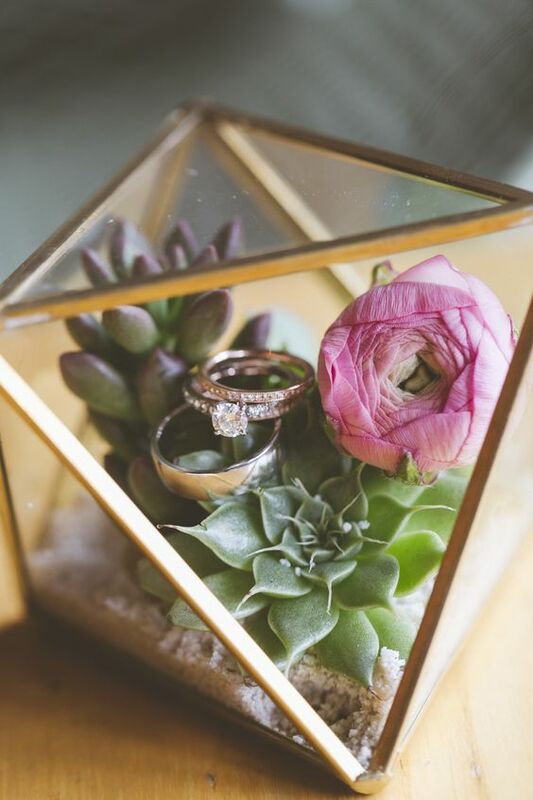 Take a geometric container like the one above or even a fishbowl and fill it with pebbles and succulents for a natural decoration. These beauties are simple to put together and will last long after the honeymoon is over. 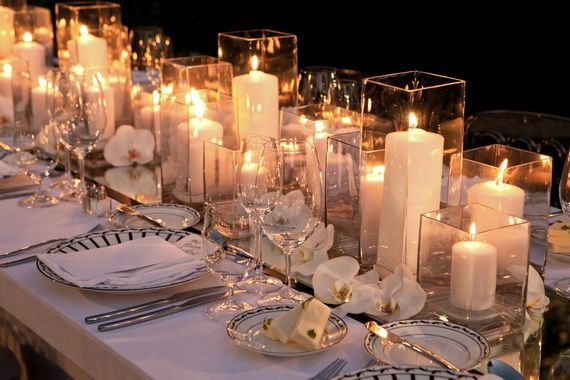 If you’re looking to avoid the extra costs of flowers, then opt for candle centerpieces as well. 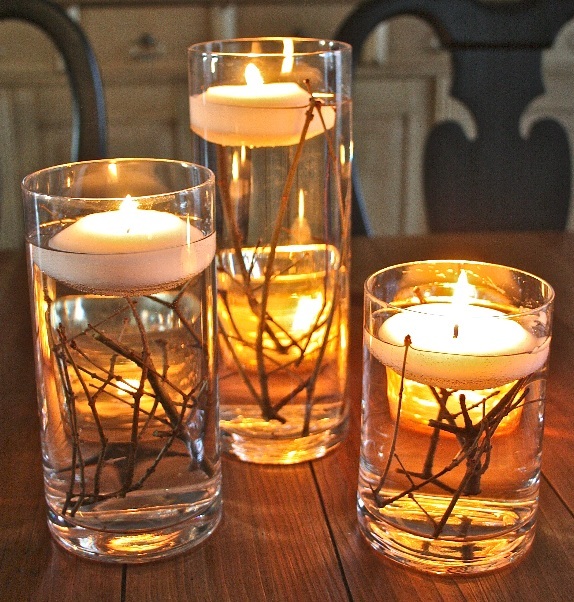 Candles are inexpensive without looking cheap, especially if you have the right holders. Add some personal touches to enhance your tables. Remember that with the floral centerpieces, you can also trim the price by choosing local, in-season, and wildflowers instead of expensive blooms from the florist. You can also compare the average price of wedding flowers online or from your local vendors when making your decision. Peonies, orchids, roses, and lilies are popular options, but are among the most expensive fresh flowers. While DIY projects do take extra time, they are definitely worth the money saved, especially when you have the satisfaction of creating something yourself. Just because it’s your wedding doesn’t mean you have to do everything yourself. Ask for help! 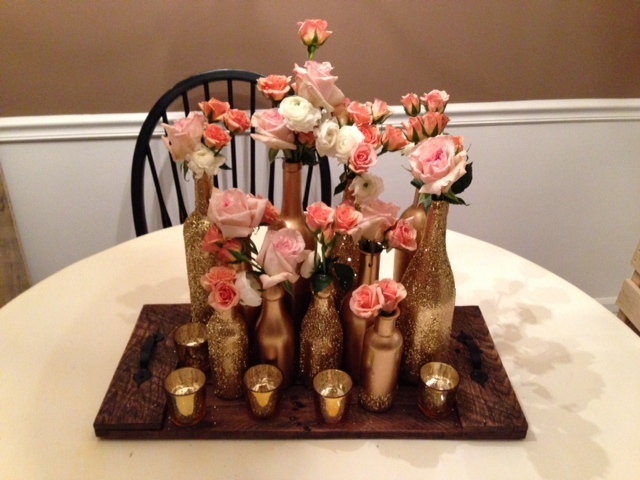 Recruit your mom, sisters, or bridal party to create centerpieces with you. You can include it as an activity during your bachelorette party or even get together for a bagel brunch and start crafting. Having your loved ones helping you will make the process go faster, and it’s also an excellent way to spend quality time with them before the wedding.